Rachel is the assistant to the associate dean in the Alumni & Development Office. In this role, she assists the associate dean with her schedule and serves as the primary liaison with alumni, students, faculty, and staff who are interested in contacting the associate dean. She also oversees special projects assigned by the associate dean. 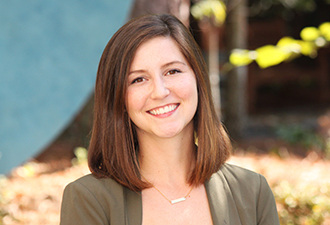 Prior to joining Duke Law School, Rachel worked in positions of increasing responsibility with Greater Media Charlotte, most recently as senior promotions and events supervisor. Rachel holds a B.A. in political science and a minor in marketing from Appalachian State University.